I asked Jesse, who was the sales person to keep the process short and sweet, and he did just that, which I really appreciate. We got to the dealership after 12pm and by 2:45 pm we managed to be done with the deal. I traded my old car for a new one, did a test drive and had everything signed and stamped in less than 3 hours. However the new car was scratched in the garage in the washing process and I could not really take delivery. The ding on the car had to be repaired. I say not really because they did let me take it with me to have the windows tinted. (I had an appointment for 8 am the next morning with the tint shop) On my way to the tint shop Jesse called and offered to pay my bill for tinting the windows. That helped to make me feel better about what happened again, I also know it was obviously an unfortunate mishap. This was the second new car we have purchased from Bud Brown. Brandon, Jerry and Rick were all super helpful, friendly, knowledgeable and patient as we waffled between 2 cars. I can’t rate this dealership highly enough. 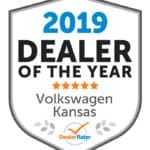 We recently purchased a certified Tiguan at Bud Brown VW. 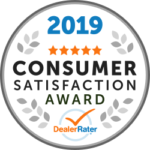 Our sales person, Denny, was very knowledgeable and helpful throughout the process. No pressure and he really made the entire process a pleasant one. Would highly recommend Denny. Rely on service techs at Bud Brown. This time had to have a part that cost MUCH more than labor but since I plan to keep my car for quite a while longer, it was necessary to repair. 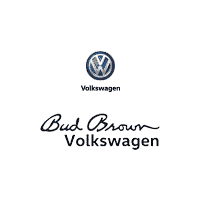 Feel confident in the work completed by the Bud Brown VW service team. I drive 50 minutes to get my car serviced. I use the express service on Saturday mornings and it is truly ithat. The people that take care of you do a great job explaining if anything else needs done. I have purchased cars at Bud Brown because of the service there.